FIRST ON CARD AUTOS for this rookie class in their PRO UNIFORMS! Configuration: 10 boxes per case. 10 packs per box. 30 cards per pack. - Donruss Basketball returns with an all new jumbo configuration! Look for two autographs and 60 inserts or parallels per box, on average! 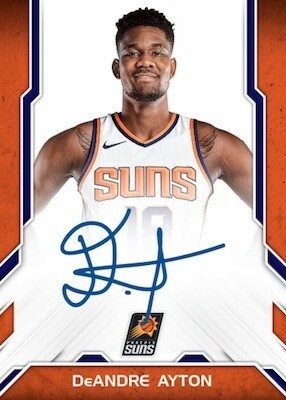 - Pull the first on-card autographs of the 2018-19 NBA rookie class in their NBA uniforms in Next Day Autographs! - Chase rare Charles Barkley SP cards falling less than one per case, on average! - Collect the iconic Rated Rookie cards with parallels numbered to as low as one-of-one! - Find autographed memorabilia cards from the stars of the 2018-19 NBA rookie class in Rookie Materials Signatures!